The trailer shows Felicity Jones (The Theory of Everything) as Jyn Erso, a young woman fighting on the side of the Rebellion. But she’s a loose cannon; think Han Solo with a touch of Rey. Donnie Yen, Forest Whitaker, and Genevieve O’Reilly (as a younger Mon Mothma) are also prominent in the trailer, but there’s a guy with a badass cape that could be Mads Mikkelsen (Hannibal), though Ben Mendelsohn is shown wearing that same cape/lando style in the trailer. But I’m hoping it’s a Mads walkaway shot. Yay! Word on the street is that Alan Tudyk (Firefly) will be playing a motion-capture character…and damn if you’ll get any info from IMDb. But that’s just the way I like my Star Wars info; thin on plot details, but rich in set design and general awesomeness. Only one problem; as we all know, Mon Mothma tells the rebels “Many Bothans died to bring us this information” on the Death Star II. So thought we’re dealing with the original Death Star in Rogue One, I’m betting that we’ll see heavy casualties here as well. Maybe bring a hankie? I know I will. Just in case. 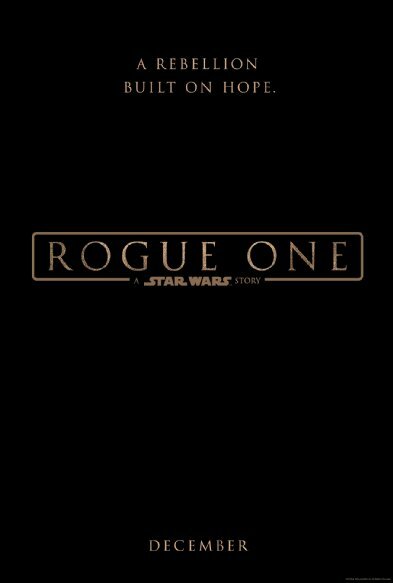 Rogue One comes into our galaxy December 16th, 2016. This entry was posted in Movie News and tagged Movie News, Rogue One, Star Wars. Bookmark the permalink.